The late Arturo Islas was our most acclaimed and accomplishedliterary explorer of Mexican-American culture. The publication of his first novel, The Rain God,marked the arrival of a new and unique voicethat could speak to both traditions. 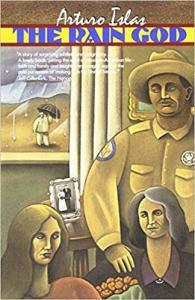 Born in 1938 in El Paso, Texas, Islas grew up in the same desertcountry along the Mexican-American border that is the home of theAngel family in his novels. He earned his undergraduate, graduate anddoctoral degrees from Stanford University, where he continued as aprofessor of English. He was a member of Phi Beta Kappa, a WoodrowWilson Fellow and a University Fellow, as well as a recipient of the Lloyd W. Dinkelspeil Award for outstanding service to undergraduateeducation at Stanford. One of Islas' most popular courses was alimited enrollment seminar, called "American Lives," that mixed readingsin literary autobiography with students' own attempts to chronicleimportant aspects of their lives.